A simple and effective module for advanced loan management functionality in Dynamics 365/AX. 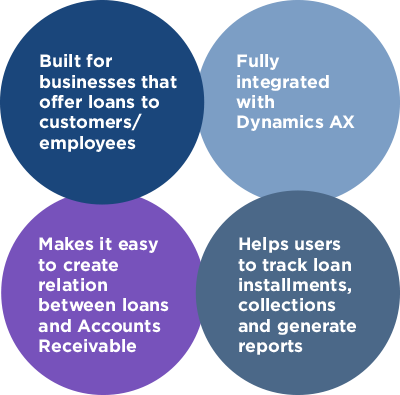 Create and manage loans right from your Dynamics 365/AX interface. And, of course, functionality can be made or tailored specifically for needs of your business. Managing your loan just became easier. To learn more about our Loan Management solution please download the brochure.